3700 Collection Residential/Light Commercial Double Locking Grade 2 Interconnected Door Lever Set. 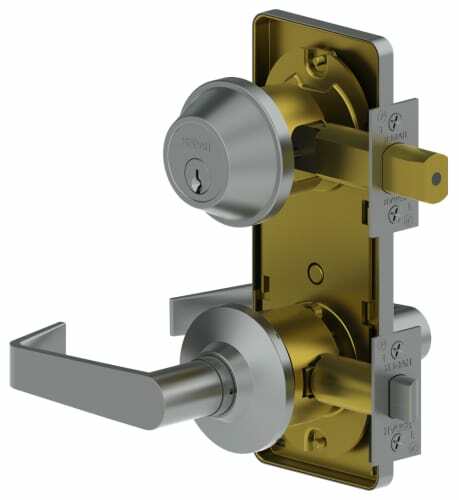 The Hager 3753 double lock interconnected door lever set allows the retraction of the deadbolt and the deadlatch by turning the interior handle. From the exterior the deadbolt and the deadlatch can only be unlocked by key. It is offered in three ADA compliant lever styles and a variety of cylinder options.